If you’re struggling to deal with serious drainage issues in your home or business, you need to get a professional team in as soon as possible. Leaving drain unblocking, or any repair work that needs doing, to the last minute can lead to a wide range of issues across your entire property. 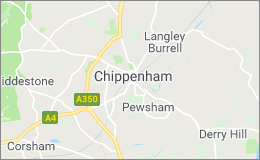 The experienced team at Drainage Care can work with you to quickly and easily identify the location and makeup of any blocked drains in Chippenham. As soon as we know where we’re targeting and what the blockage is made of, we will be able to set to work eliminating it. Here at Drainage Care, we have worked on a wide range of properties across the South West. Whether you’re looking to eliminate a problematic blockage from your home, business or industrial space, our team are here for you. 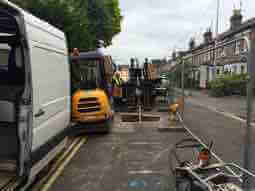 What Causes Blocked Drains in Chippenham? There are all kinds of reasons why your home or business’ drainage system can become blocked. That is why it can sometimes be difficult to know where the blockage is located and how it most efficiently be dealt with. Here at Drainage Care, we can provide quick and easy CCTV drain surveys to help you identify where the blockage is located and why it has developed in the first place. Our team will feed a small camera directly into your drains and direct it through your pipes until we find the source of the blockage. As soon as we know exactly what kinds of waste we are dealing with, we will be able to recommend the best drain unblocking techniques for your property. Tree roots entering the pipeline. Pipeline collapses due to pressure or damage. Flushing of inappropriate materials, such as kitchen roll, wet wipes and feminine products. Disposal of food waste, fats, oils and greases. What are the Dangers of Blocked Drains in Chippenham? Drain blockages can lead to a wide range of problems across your entire property. Some of them are only minor irritations, while others can cause long-term issues which can require costly repairs. The smaller irritations which can be attributed to blocked pipes include the slow-draining of toilets, sinks and showers. In addition, it is common to hear an unpleasant gurgling sound whenever a drain finishes removing water. High-Pressure Systems – Whenever a blockage or broken pipe lowers the carrying capacity of a pipe, it is putting additional pressure on your system as a whole. In many cases, this can lead to cracked and burst pipes. Backflow – One of the most unpleasant symptoms of a blocked drain can be a backflowing system. This is where the pressure in the system reaches to such a point that the waste and water is forced back up the pipe. In these circumstances, it is possible for the waste to exit the system via the drains it entered into.This can be unpleasant for areas like showers and the bathroom sink, but for toilets and the kitchen sink, it can be extremely disgusting and unsafe. Any flooding is unpleasant, but when the flood is accompanied by human waste, including urine and faeces, in addition to food detritus, it can be a major health hazard. Waste Being Trapped – If a blockage will not allow water or waste to pass it by, then there is the opportunity for waste to become trapped in the pipes themselves. This will create an unpleasant smell which you will be able to detect across most of your property. In addition to being unpleasant, it can also create extremely unsafe areas.When waste does become trapped, it can lead to a range of diseases and infections. Whether you’re struggling with blockages in a home or business, this isn’t the kind of environment that you want to create. Leaks – Although they might seem relatively harmless in relation to the other potential problems that blocked drains in Chippenham can cause, leaks can cause a great deal of damage to your property. Leaks can cause mould and damp to grow throughout your property and cause long-lasting health issues. If you’re looking for a professional team to deal with drainage issues in Chippenham, then you need to get in touch with Drainage Care today. Over the years, we have worked on a wide range of properties to deliver all kinds of drainage clearance and repairing services to properties across the South West. We can provide reliable CCTV drain surveys in addition to comprehensive unblocking services for all kinds of properties, including both homes and businesses in Chippenham. For more information, don’t hesitate to get in touch with our team today. If you have any questions or concerns, you can use our simple online contact form and we’ll get back to you as soon as we can. Alternatively, you can call our team directly on 0800 193 9973 and speak to one of our drainage experts today.